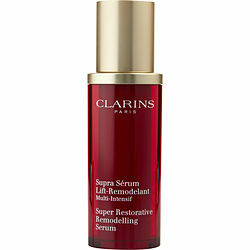 Was using double serum, but was out on reorder so I decided to try Super Restorative Remodeling Serum instead. WOW! What a difference! It's getting rid of my age spots! The worst one was gone in two weeks! Wrinkles lessened as well! Much better than the double serum! I'll be using this from now on! Age 61. THRILLED!